Students will learn how to throw with this beautiful clay, renowned for being a little temperamental through the advice and guidance of an expert practitioner. 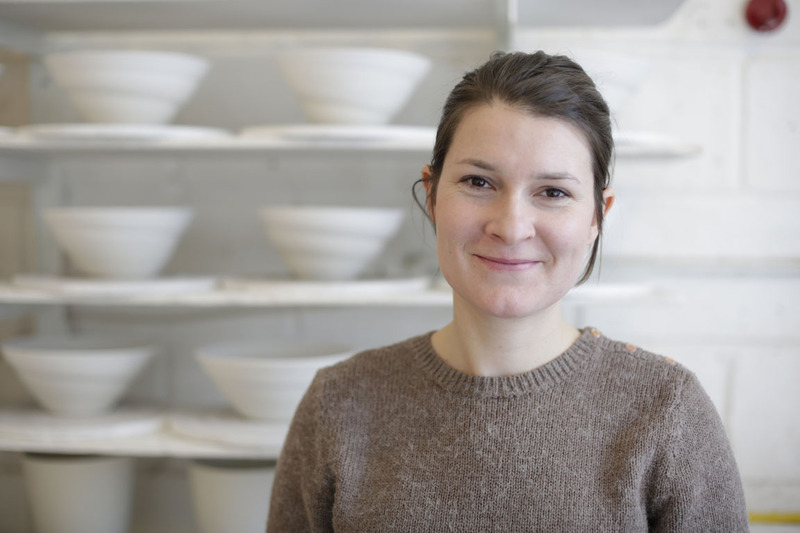 This is a weekend workshop introducing students to how to throw with porcelain taught by Jo Davies. As with all Jo Davies Studio classes there will be a maximum of 4 students allowing for plenty of time and attention from your tutor. 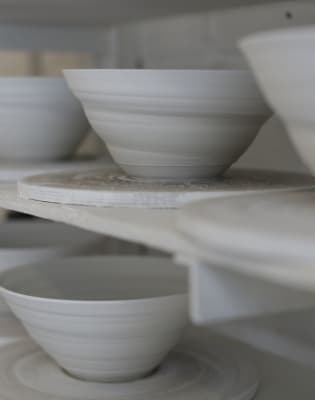 It will be a guided tour of throwing with porcelain for people who have already wheel-thrown before but may not have worked with porcelain or for students who have thrown with porcelain but come up against recurring issues like pots cracking, warping or slumping, and would like to know more about how to overcome these problems. Students at all levels are welcome on this course but some experience is preferable. This weekend workshop is for students who are curious about how to really get to grips with this amazing clay. This two day course will give you an insight into solving the problems that come up when throwing with this beautiful material through specific guidance from Jo Davies who is a specialist in porcelain, working with it exclusively to create her renowned collection of ceramic work. 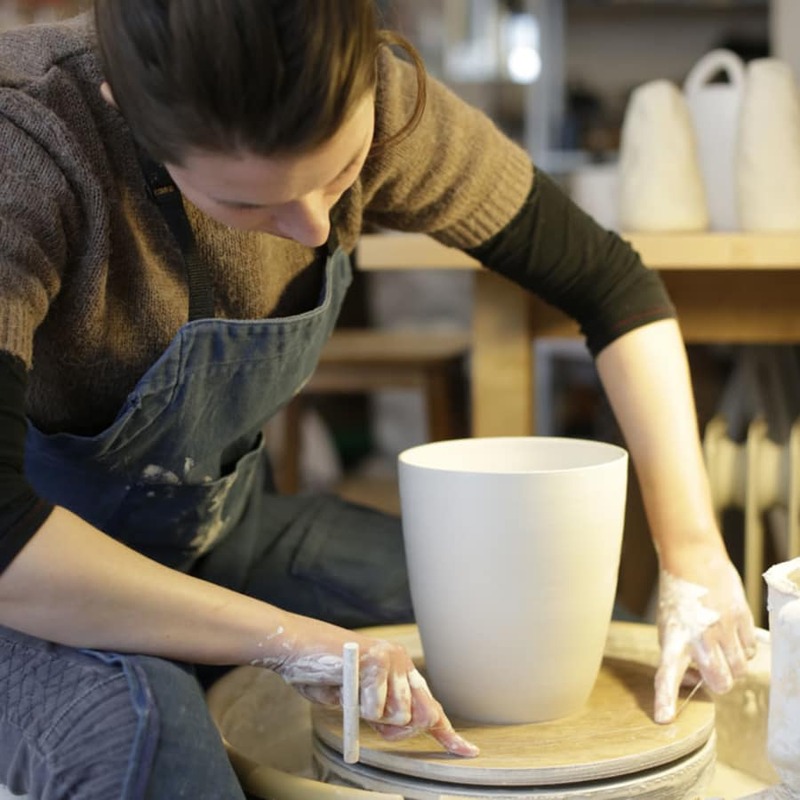 Her extensive experience with porcelain will give you an insight into how this material behaves and is something students are welcome to tap into through demonstrations, discussion and practice. 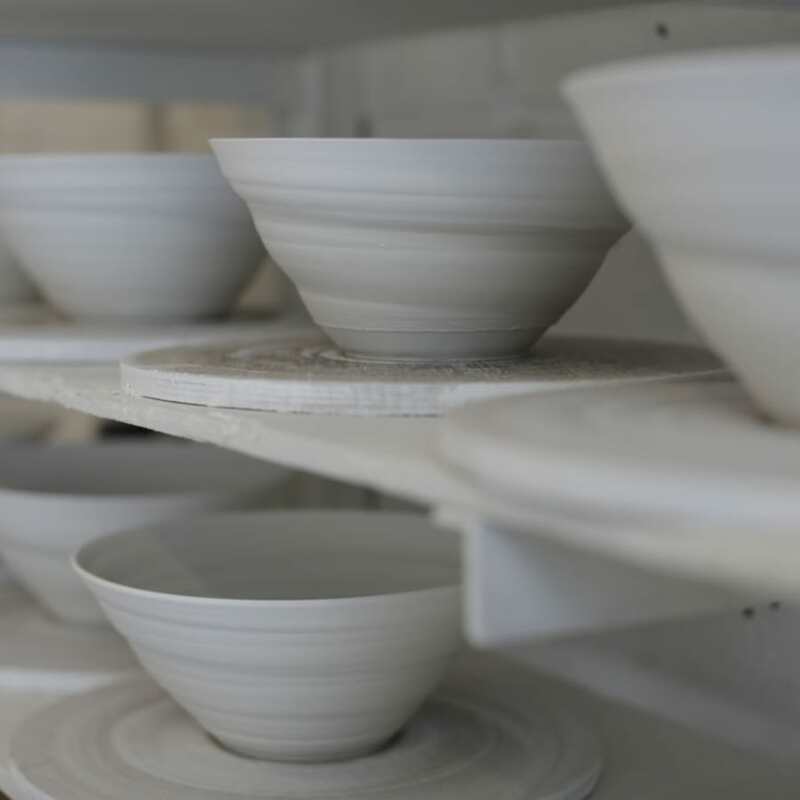 During this workshop we will discuss how to harness the best qualities of porcelain through some simple exercises in throwing and turning - all will be demonstrated and explained to students beforehand. Students are very welcome to discuss any problems that they are having with their throwing with Jo on the day or get in touch ahead of the day to highlight anythign you would like to cover during the weekend. Did you know that Bone China was developed in London in the 17th century to mimic Chinese Porcelain that was arriving in Britain around that time? It took a long time to really perfect it but eventually a breakthrough was made when ground up animal bone was added to the clay. To this day bone is still contained within the Bone China produced in Stoke on Trent, which took its name from both the bone inside it and the place producing the original porcelain it was emulating - China. Class fees include all teaching, materials and kiln firings. Items made during the workshop will be glazed and finished for students after the class has finished. If you wish to glaze the items yourself elsewhere then this can be discussed. All items should be picked up at a later date unless otherwise discussed on the day. All tools are provided but please feel free to bring your own tools if you would like to. Aprons are not provided so please bring these with you if you would like to and wear comfortable clothing.